Andante et Scherzo for Flute and Piano -by- Louis Ganne. Used sheet music for flute with piano accompaniment. Score and separate flute part. (Southern Music Co, San Antonio TX, no date) Very good. Aria pour Violin ou Flute et Piano -by- Eugene Bozza. Used sheet music for Violin or Flute with Piano Accompaniment. Score and separate part for Violin/Flute. (Alphonse Leduc, Paris, no date) Name written on cover of instrumental part. Music pages are worn and creased on edges. A few pencil marks on music, else music is good. Ave Maria for Flute Trio -by- Charles Gounod. NEW sheet music for flute trio -arranged by- James Christensen. Score and separate parts for Flute I, II and III. Grade 3. Duration 2:00. (Kendor Ensemble Series, Kendor Music Inc, Delevan, NY, 1984) NEW. Berceuse pour Flute et Piano -by- Marc-Olivier Dupin. Debutant. Beginner. Collection Prelude Serie Flute dirigee par Alain Marion. Score and flute part. Used easy sheet music score for beginner flute and piano. A.L. 26.159. (Alphonse Leduc. Paris. 1984) Condition is very good. Bird-Song for Soprano and Flute with Piano Accompaniment -words by- Marjorie Rayment -music by- Michael Head. Score (in F) and separate part for Flute. Used sheet music score for soprano voice and flute with piano. (Boosey & Co. 1966) Inked stamps on cover. Corners are lightly creased. Else in fine condition. Canzonetta -by- Gabriel Pierne, Op. 19 for Flute and Piano. Used sheet music for flute with piano accompaniment -transcription by- Andre Petiot. Score and separate part for flute. (Alphonse Leduc, Paris, 1935) Oversize. Covers sunned on edges and marked on rear cover. Corners curled. Music is very good. Concertino for Flute and Orchestra, Reduction for Flute and Piano -by- Cecile Chaminade, Op. 107. Used sheet music for flute and piano. Score and separate flute part. (Enoch & Cie, Paris, 1929) Light soiling to covers, music is very good. Concerto for Flute and Orchestra � cordes. R�duction for Flute and Piano -by- Henry Barraud. Used sheet music for flute and piano. Score and separate flute part. (1965 Boosey & Hawkes) Folder torn on fold. Music is excellent. Dance Of The Sugar Plum Fairy for Flute Trio -by- P I Tschaikowsky. NEW sheet music for flute trio -arranged by- James Christensen. Score and separate parts for Flute I, II and III. Grade 3. Duration 1:20. (Kendor Ensemble Series, Kendor Music Inc, Delevan, NY, 1984) NEW. Divertimento I for Flute & String Orchestra -by- John Weinzweig; reduction for Flute and Piano -by- Harold Perry. Used sheet music for flute with piano accompaniment; score and separate part for flute. (Boosey and Hawkes) Name and address on 1st pages, good. Duettina For Soprano Instrument (Flute, Piccolo, Oboe, Violin or Trumpet) and Piano -by- Petr Eben. Used sheet music score. Score and separate part for soprano instrument. P 326. (Panton Praha-Bratislava. 1964) Corners creased and worn. Music is very good. Echo for Flute and Piano -by- Paul Hindemith. Used sheet music for flute with piano accompaniment; score only - no separate flute part. (Schott & Co, London, no date) Cover light soiled, corners creased, else good. French Dances for Flute and Piano -by- Jean Philippe Rameau. Used sheet music for flute and piano by Jean Philippe Rameau -arranged by- Trevor Wye. Score and separate flute part. Oxford Music for Flute. (Oxford University Press. Oxford. 1988) ISBN 0193582643. Covers of score are scuffed. Corners bumped. Covers of Flute part are grubby. Else music is very good. List of contents: Contredanse en Rondeau from 'Les Boreades'; Passepied from 'Zais'; 1st and 2nd Tambourin from 'Zais'; Sarabande from 'Zais'; 1st and 2nd Gavotte from 'Zais'; Prelude from 'Zais'; Contredanse from 'Zais'; 1st and 2nd Minuet from 'Acante et Cephise'; 1st and 2nd Gavotte from 'La Princesse de Navarre'; Tambourin from 'La Pincessse de Navarre'; 1st and 2nd Passepied from 'Zais'; 1st and 2nd Rigaudon from 'Zais'; Entree from 'Zais'; 1st and 2nd Gavotte from 'Acante et Cephise'; Contredanse from 'Les Boreades'. Johann Sebastian Bach Sonatas Volume 1 for Flute and Piano (B minor, Eb Major, A Major, and A minor for Flute Alone). Used sheet music for flute with piano accompaniment. Realization of the figured bass -by- Louis Moyse. Score and separate part for flute. (Louis Moyse Flute Collection. G Schirmer, New York, 1964) Score worn on edges. Flute part has marks on covers. Else music is good. L'Ours Blanc, No. 5 from 'Du Fleuve a l'Arctique Pour Flute et Piano' -by- Jacques Faubert. Elementaire. Collection Prelude Serie Flute dirigee par Alain Marion. Score and flute part. Used easy sheet music score for flute and piano for elementary grade. A.L. 27.164. (Alphonse Leduc. Paris. 1986) Condition is very good. Martial -by- Oscar Lagger for flute and piano (preparatory level). Used sheet music for piano and piano. Score and separate part for flute. (Alphonse Leduc, Paris, 1985) Very good. Orphee (Scene des Champs-Elysees) -by- Gluck; piano reduction of orchestra -by- A Cherval. Used sheet music for flute with piano accompaniment. Score and separate part for flute. (Les Classiques de la Flute No. 20, Alphonse Leduc, Paris, 1927) Oversize. Covers are grubby and marked, else good. Piece pour Flute et Piano -by- Andrei Echpai. FLUTE PART ONLY. Used sheet music score for flute and piano, the flute part only. A.L. 27.037. (Alphonse Leduc. Paris. 1985) Condition is very good. Poem for Flute and Orchestra Arranged for Flute and Piano -by- Charles T Griffes -arranged by- George Barrere. Used sheet music for flute and piano. Score and separate flute part. (1922 Schirmer) In very good condition. Polyphonie I (1963) -by- Jacques Guyonnet for Flute and Piano. Used sheet music for flute en sol and piano. Score only - no separate flute part. (Universal Edition 13548, 1968) 8 pages. Marks on cover, music is very good. Prelude et Scherzo pour Flute et Piano -by- Henri Busser, Op. 35. Used sheet music for flute with piano accompaniment. Score and separate part for flute. (Alphonse Leduc, Paris, 1960) Oversize. Covers are discoloured on edges with a few small tears. Name written on front cover. Spine torn and taped. Flute part has stains on edges and is tanned. Corners bumped. Music is very good. Reflets Varies pour Flute et Piano -by- Gilles Cagnard. Debutant. Beginner. Collection Prelude Serie Flute dirigee par Alain Marion. Score and flute part. Used easy sheet music score for beginner flute and piano. A.L. 27.145. (Alphonse Leduc. Paris. 1984) Condition is very good. Rhapsodie pour Flute et Piano -by- Raymond Guiot. Used sheet music for flute with piano accompaniment. Score and separate part for flute. (Editions Robert Martin, Macon Cedex. 1981) Very good. Sea Shell Fantasy for Flute and Piano -by- Miriam Hyde. Used sheet music for Flute and Piano. Score and separate flute part. (1986 EMI) Very good. Serenade -by- Georges Hue for Flute and Piano. Superior Ed. 6092. Used sheet music for flute and piano. Score and separate flute part. (1916 Carl Fischer) Small tears around edges, music is good. Serenade -by- Gabriel Pierne, Op. 7 for Flute and Piano. Used sheet music for flute with piano accompaniment. Score and separate part for flute. (Alphonse Leduc, Paris, 1935) Oversize. Covers are marked. Corners creased. Music is very good. Sicilienne, No. 1 from 'Trois Pieces Facilles pour Flute et Piano' -by- Louis Moyse. Used sheet music score for flute with piano accompaniment; score and separate part for flute. (Alphonse Leduc, Paris, no date) Oversize. Heavy wear on edges and corners. Spine torn and taped. Flute part is tanned, brittle with small chips and tears on edges and has pencil marks, else music is good. 6 Sonatas for Flute and Piano -by- C Philipp Emanuel Bach. Urtext edition published for the first time with realization of the Continuo -by- Kurt Walther. Used sheet music for flute and piano. Score only - no separate flute part. Contents are: Sonata No. 1 in B Major; Sonata No. 2 in D Major; Sonata No. 3 in G Major; Sonata No. 4 in D Major; Sonata No. 5 in B Major; Sonata No. 6 in G Major. (Musik Fur Flote, Zimmermann, Frankfurt, 1958) Used softcover book, 44 pages. Edges of cover are lightly worn, small creases in spine, two pages are torn along upper edge from being uncut and untidily separated, else pages are very good. Sonata V for Flute and Bass -by- J B Loeillet. Used sheet music for flute and bass. Score and separate flute part. Bass arrangement -by- Joh. Feltkamp. (Edition Peters No. 166, London, no date) Fold torn, foxing on fold, else good. Sonaten No. 4-7 fur Flote und Klavier -by- G F Handel (Macimilian Schwedler). Edition Peters No. 2018b. Used sheet music for flute and piano. Score and separate part for flute. 9298. (Edition Peters. London) Foxing and marks to cover of score. Corners creased. Music is very good. contents are: Sonata No. 1 in E moll; Sonata No. 2 in G moll; Sonata No. 3 in G dur; Sonata No. 4 in C dur; Sonata No. 5 in F dur; Sonata No. 6 in H moll; Sonata No. 7 in A moll. Sonatina for Flute and Piano -by- Arnold Cooke. Used sheet music for flute with piano accompaniment. Score only - no separate flute part. (Oxford Music for Flute, OUP, 1964) ISBN 0193558874. Used softcover book. 16 pages. Very good. Song Without Words, Op. 85, No. 4 (Andante Sostenuto) for Flute et Piano -by- Mendelssohn. Used sheet music for flute with piano accompaniment -arranged by- John Francis and Millicent Silver. Score and separate part for flute. (4079. Alfred Lengnick & Co. London. 1962) Very good. Scarlatti-Benjamin Suite for Flute and Strings Arranged for Flute And Piano freely adapted from the Piano Sonatas by Domenico Scarlatti by Benjamin. Used sheet music for flute and piano; score and flute part. 15858. (Boosey & Hawkes, 1948) Flute part has small tears on edges, spine of score worn, else in good condition. Suoni d'Un Flauto (Flauto di alto in G, Op. 6) -by- Ake Hermanson. Used sheet music for flute solo. (NMS 10.107, Edition Wilhelm Hansen, Stockholm, 1969) Oversize. 3 pages. Edges are worn, corners curled. Covers soiled, Music is good. The Elements for Flute and Harpsichord or Piano -by- Robert Hinchliffe: Fire; Water; Earth; Air. Used sheet music for flute and harpsichord or piano. Score and separate part for flute. (Music for Flute. Oxford University Press. 1980) ISBN 0193570858. Corners are bumped. Else very good. Mel Bay Presents International Carols For Flute -by- Costel Puscoin (1998). Score and Part with CD. ISBN 0786638222. MB97529BCD. Used book and CD of sheet music scores with chords for flute with piano accompaniment. No lyrics. Score and separate flute part. (Mel Bay Publications. 1998) In very good condition. Weight 400 grams. Contents are: ROMANIA: Father Christmas; Down Below In Bethlehem; We Walk And Sing The Carols; The Star Appears Up In The Sky. BULGARIA: The Carol Singers; Holy Mother Protect The Nest. GREECE: The Good Day. SERBIA: Glory To God; SLOVENIA: Harp Sound, Heaven Sound. CROATIA: To All The Earth; O, My Dear Child. ITALY: Canzona Of The Bagpipers; Sleep, Sleep, Beautiful Child. SWITZERLAND: In Bethlehem Is Born The Holy Child; Jesus, The Holy Child; Come All Inside. AUSTRIA: Silent Night; The Saviour Is Born. HUNGARY: He, The Wonderful; Shepherd, Shepherd; Lullaby For Christmas; Hark To The Angels. SLOVAKIA: The Lord Is Born. CZECHIA: Lullaby For Little Jesus; Angels And Shepherds; Cheerful Christmas Time; Oh, What A Wonderful Child. POLAND: Sleep Well, Little Jesus; The Shepherds Came To Bethlehem; Midst The Deep Silence. UKRAINE: Woman, Give Me Eggs And Cakes; Heaven And Earth. RUSSIA: Father Christmas; A Child Brings Peace To The World. ESTONIA: Christmas Star Shines In The Sky. FINLAND: Father Christmas. SWEDEN: Christmas Has Come Again; It Is Christmas Once Again. NORWAY: Christmas, O Happiest Day; Christmas Joy. ICELAND: Children's Christmas Carol. IRELAND: Love Came Down At Christmas. SCOTLAND: Baloo Loo, Lammy. WALES: Deck The Hall. ENGLAND: God Rest Ye Merry, Gentlemen; We Wish You A Merry Christmas; Jingle Bells. DENMARK: Christmas Brings Joy To Every Heart; A Child Is Born In Bethlehem. GERMANY: O, Christmas Tree; Oh, Tiny Child; Silezian Carol. HOLLAND: Now Be Welcome; A Child Is Born; The Shepherds. BELGIUM: Who Is This Child; We Were Three Shepherdesses. FRANCE: Gloria In Excelsis Deo; Saint Joseph Told Me; Born Is He, This Holy Child. SPAIN: Oh, What Graceful; Fum, Fum, Fum; Tan, Tan; The Song Of The Birds. PORTUGAL: Christmas Night; Christmas Lullaby. BRAZIL: Sleep Well, Poor Jesus. SURINAM: Today We Meet. VENEZUELA: How Can We Find The Holy Child; Let's Sing. PUERTO RICO: Let's Go, Shepherds; The Holy Child. MEXICO: O, Ru-Ru-Ru; Asking For The Lodgings. UNITED STATES: Christ Was Born On Christmas Day; Mary Had A Baby; Never Was A Child So Lovely; Hush My Babe. COMPOSITIONS: Michael's Carol; Vlad's Carol. The Library Of Flute Classics (1999) Score and Part. ISBN 0711975876/0825617073. AM948882. Used spiral-bound book of classical sheet music scores for flute with piano accompaniment. Score and Part. Contains the great masterpieces of the world's foremost composers; over 50 favourite flute solos with full piano accompaniment and a separate matching solo part for the flautist. (Amsco Publications. 1999) Written gift inscription on first page. Else in very good condition. Weight 800 grams. Contents are: Scherzino (Joachim Andersen); Minuet (J S Bach); Gavotte (J S Bach); Sonata No. 2 (J S Bach); Brandenburg Concerto No. 4 (J S Bach); Brandenburg Concerto No. 5 (J S Bach); Symphony No. 4 (Beethoven); Symphony No. 7 (Beethoven); Symphony No. 9 (Beethoven); Serenade (Beethoven); Minuet in G (Beethoven); Symphonie Fantastique (Berlioz); Habanera (Bizet); Concerto in D Major (Boccherini); Waltz (Brahms); Symphony No. 1 (Brahms); Symphony No. 4 (Brahms); Minute Waltz (Chopin); Nocturne (Chopin); Prelude to the Afternoon of a Faun (Debussy); Reverie (Debussy); Humoresque (Dvorak); Ah! So Pure (von Flotow); Minuet and Dance of the Blessed Spirits (von Gluck); Berceuse (Godard); Legends Pastorale (Godard); Sonata No. 2 (Handel); Sonata No. 5 (Handel); Cradle Song (Miska Hauser); Serenade (Haydn); Trio No. 4 (Haydn); Spring Song (Mendelssohn); On Wings of Song (Mendelssohn); Scherzo (Mendelssohn); Quartet in D (W A Mozart); Concerto No. 2 (W A Mozart); Cadenzas for Mozart Concerto No. 2 (Mozart-Andersen); Barcarolle (Offenbach); Andalouse (Emile Pessard); Arioso (Johann Joachim Quantz); Song of India (Rimsky-Korsakov); Flight of the Bumblebee (Rimsky-Korsakov); Scheherazade (Rimsky-Korsakov); Melody in F (Anton Rubinstein); The Swan (Camille Saint-Saens); Air de Ballet (Camille Saint-Saens); Symphony No. 5 (Schubert); None But The Lonely Heart (Tchaikovsky); Dance of the Mirlitons (Tchaikovsky); Symphony No. 4 (Tchaikovsky); Piano Concerto No. 1 (Tchaikovsky); Symphony No. 6 (Tchaikovsky); Barcarolle (Tchaikovsky); Italian Air (Telemann); La Paloma (Yradier). Vier Stucke aus den Flotenkompositionen Friedrichs des Grossen (Four Pieces chosen from Compositions for Flute by Frederig the Great, King of Prussia, for Flute and Piano Forte) (Georg Muller) (Albert Rosemann). Used sheet music for flute with piano accompaniment. Edition Nagel 1071. Score and separate flute part. (Nagels Verlag Kassel. Adolph Nagel, Hannover. 1933) Bumped on corners. Pages have tanned. Else very good. Contents are: Arioso aus dem Solo per Il Flauto No. 147; Allegro aus dem Solo per Il Flauto No. 157; Largo aus dem Solo per Il Flauto No. 167; Cantabile aus dem Solo per Il Flauto No. 110. 14 Pieces for Flute and Piano (14 Pieces pour flute et piano) -by- Ch. Koechlin. Used sheet music for flute with piano accompaniment. Score and separate flute part. (Editions Salabert. Paris. 1948) Cover of score is worn and torn along upper edge and in spine. Score and flute part creased on upper edge. Else music is very good. A Second Latin American Flute Album for Flute and Piano -edited by- Trevor Wye. Score only - no separate flute part. Used sheet music book for flute and piano. Suitable for flute players from grade 5 standard. (Cat. No. 120635. Novello & Co. 1987) Covers are scuffed. Spine worn. Light foxing on edges of pages. Music is very good. Contents are: Pasaje No. 1 (Passage No. 1) (S Torrealba); Sol En Merengue (Merengue Sun) (Folk); El Frutero (The Greengrocer) (Folk); Bailecito de Procesion (Little Dance Procession) (Folk adapted by Gustavo Samela); El Camaleon (The Chameleon) (Folk); El Quintapesares (the Consolation) (Folk). Les Contemporains Ecrivent pour Les Instruments a Vent, Collection Fernand Oubradous, Vol. I for Flute and Piano. Used sheet music for flute and piano; score and separate part for flute. (Gerard Billaudot, Paris, 1953) Small tears in fold of cover, corners bumped, music is very good. Contents are: March des gais lurons (Henri Gagnebin); Lied (Louis Aubert); Deux croquis (Paul Arma); Romance (Arthur Honegger); Tendre regret (Louis Beydts). Selected Duets for Flute Volume II Advanced -compiled & edited by- H Voxman. Rubank Educational Library No. 178. Used book of sheet music scores for flute duet. 72 pages. (Rubank Inc, Miami, 1955) Very good condition. Contents are: Allegro and Minuett (Beethoven); Duetto No. VI, Op. 101, based on Quartet, Op. 17 No. 6 (Haydn); Echo (Haydn); Seven Duets selected from the works of W F Bach, Devienne, Furstenau, Geminiani, Handel, H. Kohler and Telemann; Two Duets selected from the Sonatas of J B Loeillet; Duetto No. I based on Sonata in B flat, K. 378 (Mozart); Duetto No. II based on Sonata in F, K. 376 (Mozart). Flute Solos with Piano Accompaniment Volume One. 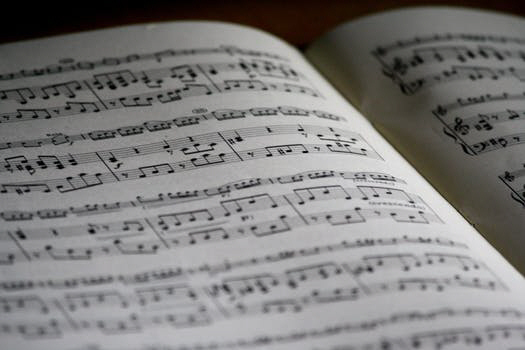 Used sheet music scores for flute and piano -edited by- Trevor Wye. Score and separate part for flute. The Chester Woodwind Series of Graded Pieces. JWC55088. (J & W Chester Music. London. 1976) Cover lightly creased. Foxing on edges of pages. Music is very good. List of contents: Theme (P Lichtenthal); Russian Melody (F Buchner); Gavotte - La Dedale (M Blavet); Andante from Sonata No. 3 (Vivaldi); Minuets I and II from Sonata No. 1 (Mozart); Galliard (M Franck); Pastorale from Sonata No. 4 (Vivaldi); Minuet from Sonata No. 6 (E Eichner); Nel Cor Piu (G Paisiello); Intrada (M Franck); Nocturne (R Bochsa); Siciliana from Concertino in D (J Baston). Flute Solos with Piano Accompaniment Volume Two. Used sheet music scores for flute and piano -edited by- Trevor Wye. Score and separate part for flute. The Chester Woodwind Series of Graded Pieces. JWC55099. (J & W Chester Music. London. 1977) Cover lightly creased. Corners bumped. Music is very good. List of contents: Andante (J W Harmston); Allegro from Sonata in G (Mozart); Capriccio (H Pauli); Tempo Giusto from Sonata in D minor (Telemann); Les Tendres Badinages from Sonata No. 6 (M Blavet); Adagio Nobile (J Donjon); Allegro from Sonata No. 6 (Vivaldi); Minuets I and II from Sonata No. 5 in C (Mozart); Scherzando from Sonata No. 6 (E Eichner); A Rossini Theme (Chopin); Cradle Song (Gordon Jacob). Flute Solos with Piano Accompaniment Volume Three. ISBN 0711921679. CH55122. Used sheet music scores for flute and piano -edited by- Trevor Wye. Score and separate part for flute. The Chester Woodwind Series of Graded Pieces. (J & W Chester Music. London. 1989) Cover of score lightly creased. First page of score is marked. Corners bumped. Music is very good. List of contents: Sicilienne from Sonata No. 4 (M Blavet); Largo from Sonata No. 6 (A Vivaldi); Gavotte and Aria from Sonata No. 7 (J B Loeillet); 'Les Regrets' from Sonata No. 5 (M Blavet); Allegro from Sonata No. 6 (E Eichner); Grave from Sonata in G minor (G P Telemann); Solo from 'Scaramouche' Op. 71 (J Sibelius); Jig from 'Serenade' (F S Kelly); Offertoire Op. 12 (J Donjon); Andantino - Pastorale (P Norgard). Fuvolamuzsika Kezdok Szamara (Flotenmusik fur Anfanger). Used sheet music book for flute with piano accompaniment. Score and separate part for flute. Z. 6587. (Editio Musica Budapest. 1971) Covers are soiled and worn on edges. Name written on cover. Pages are very good. List of contents: Menuet (J S Bach); Intermezzo (S Balassa); Burlesca (A Balazs); Karfantazia, Op. 80 (reszlet) (Beethoven); Chorfantasie, Op. 80 (Fragment) (Beethoven); Kanasztanc (Schweinehirtentanz) (I Bogar); Air Tendre (Rondeau) (F Couperin); Giuoco (L Dubrovay); Magyar Tanc (Ungarischer Tanz) (F Erkel); Andante (Haydn); Sarabande (Handel); Saltus Hungaricus (Fragment) (M Kocsar); Allegretto (Mozart); Air (Purcell); Air (M Victor); Marosszeki Keringos (Rundtanz von Marosszek) (L Weiner). Solos For The Flute Player With Piano Accompaniment -selected and edited by- Louis Moyse. Score and separate Flute part. Used sheet music scored for flute with piano accompaniment. (G Schirmer Inc. New York) Covers are very worn and soiled. Pages are in good condition. List of contents: Allegro (from Sonata for Flute and Piano) (Jean Baptiste Loeillet); Allegretto (from Menuetto in F) (12 Little Pieces for Piano) (Joseph Haydn); Song Without Words (Mendelssohn, Op. 62, No. 25); Two Menuets (from Sonata for Flute and Piano) (Jean-Jacques Naudot); Gavotte (from Sonata for Flute and Piano) (G F Handel); Andante and Allegretto (from Sonata for Flute and Piano) (General John Reid); Two Arias in Rondeau (from Sonata for Flute and Piano) (Jean-Jacques Naudot); Rosamunde (Ballet Music) (F Schubert); Air (from L'Apotheose de Lulli) (Francois Couperin); Polonaise (from Sonata for Flute and Piano) (L van Beethoven); May, Sweet May (from Album for the Young) (R Schumann, Op. 68); Trio des Ismaelites (from The Childhood of Christ) (Hector Berlioz); Nocturne (F Chopin, Op. 32, No. 1); Entr'acte (from Carmen) (Georges Bizet); Adagio (from Flute Quartet, K. 285) (W A Mozart); Scherzando (from Trio Sonata for Flute, Violin and Piano) (G P Telemann); Adagio (from Symphony No. 24) (J Haydn); Valse Menuet (from L'Arlesienne Suite No. 1) (Georges Bizet); Rondo (from Piano Sonata, K. 279) (W A Mozart); Allegro (from Sonata for Flute and Piano) (Leonardo Vinci). Solos For The Flute Player With Piano Accompaniment FLUTE PART ONLY -selected and edited by- Louis Moyse. Used flute part only. Piano Accompaniment part is not included. 32 pages (G Schirmer Inc. New York) In very good condition. List of contents: Allegro (from Sonata for Flute and Piano) (Jean Baptiste Loeillet); Allegretto (from Menuetto in F) (12 Little Pieces for Piano) (Joseph Haydn); Song Without Words (Mendelssohn, Op. 62, No. 25); Two Menuets (from Sonata for Flute and Piano) (Jean-Jacques Naudot); Gavotte (from Sonata for Flute and Piano) (G F Handel); Andante and Allegretto (from Sonata for Flute and Piano) (General John Reid); Two Arias in Rondeau (from Sonata for Flute and Piano) (Jean-Jacques Naudot); Rosamunde (Ballet Music) (F Schubert); Air (from L'Apotheose de Lulli) (Francois Couperin); Polonaise (from Sonata for Flute and Piano) (L van Beethoven); May, Sweet May (from Album for the Young) (R Schumann, Op. 68); Trio des Ismaelites (from The Childhood of Christ) (Hector Berlioz); Nocturne (F Chopin, Op. 32, No. 1); Entr'acte (from Carmen) (Georges Bizet); Adagio (from Flute Quartet, K. 285) (W A Mozart); Scherzando (from Trio Sonata for Flute, Violin and Piano) (G P Telemann); Adagio (from Symphony No. 24) (J Haydn); Valse Menuet (from L'Arlesienne Suite No. 1) (Georges Bizet); Rondo (from Piano Sonata, K. 279) (W A Mozart); Allegro (from Sonata for Flute and Piano) (Leonardo Vinci). Flute Fancies -compiled and arranged by- Hugh M Stuart with Piano Accompaniment. Score and separate part for Flute. Used sheet music scores for Flute with piano accompaniment. 12707/46763. (Chappell & Co/Boston Music.) Heavy foxing on covers and edges of pages. Else pages are very good. List of contents: Air (Beethoven); Air (Muffat); Allegro (Mozart); Allegretto (Diabelli); Andante, Op. 29 (Schubert); Arietta (Grieg); Berceuse (Hauser); Bourree (Handel); Dance (Schubert); Ecossaise (Beethoven); Etude, Op. 10 No. 3 (Chopin); Gavotte (Bach); Gavotte (Thomas); Greensleeves; Landler (Schubert); Lento and Andante (Gluck); Little Piece (Schumann); Minuet (Bizet); Minuet (Pleyel); Minuetto (Mozart); Musette (Bach); Poem (Fibich); Prelude, Op. 28 No. 4 (Chopin); Rigaudon (Purcell); Romance (Beethoven); Siciliana (Scarlatti); Sonata Theme (Brahms); Sonata Theme (Mozart); Song (Schumann); Theme from Schererazade (Rimsky-Korsakoff); To A Wild Rose (MacDowell); Waltz (Schubert). Flute Fancies FLUTE PART ONLY -compiled and arranged by- Hugh M Stuart. Used flute part only. Piano Accompaniment part is not included. 22 pages. 12707/46763. BT 10041. ISBN 0711915997. (Chappell & Co.) Covers are worn and grubby. Light creasing, else pages are good. List of contents: Air (Beethoven); Air (Muffat); Allegro (Mozart); Allegretto (Diabelli); Andante, Op. 29 (Schubert); Arietta (Grieg); Berceuse (Hauser); Bourree (Handel); Dance (Schubert); Ecossaise (Beethoven); Etude, Op. 10 No. 3 (Chopin); Gavotte (Bach); Gavotte (Thomas); Greensleeves; Landler (Schubert); Lento and Andante (Gluck); Little Piece (Schumann); Minuet (Bizet); Minuet (Pleyel); Minuetto (Mozart); Musette (Bach); Poem (Fibich); Prelude, Op. 28 No. 4 (Chopin); Rigaudon (Purcell); Romance (Beethoven); Siciliana (Scarlatti); Sonata Theme (Brahms); Sonata Theme (Mozart); Song (Schumann); Theme from Schererazade (Rimsky-Korsakoff); To A Wild Rose (MacDowell); Waltz (Schubert). ABRSM New Pieces for Flute with Piano Accompaniment Book II Grades 5 and 6. Graded Wind Music Series. The Associated Board of the Royal Schools of Music. Score and separate Flute part. Used sheet music scores for Flute with piano accompaniment for Grade 5 and Grade 6. 1639. (The Associated Board of the Royal Schools of Music. London. 1978) Upper corner creased. Else in fine condition. List of contents: Pan Pastoral, Op. 55 No. 4 (John Hall); Circus-Pony (Stephen Dodgson); Arabesque (Joseph Horovitz); Scherzando (Richard Stoker); Dance (Christopher Brown); Pastorale (Christopher Brown); Pastorale (Timothy Baxter); Rondino (Timothy Baxter); Perpetuum Mobile (John Lambert); Prelude Francais (To Henri Jayles) (Bryan Kelly). 12 Classical Duets For Flutes Set 2 from '24 Duettos In An Easy, Pleasing Style' Grade 3-5 -by- Domenico Mancinelli -arranged by- Charles D Yates. Used book of sheet music scores for flute duet, incorporating simple, tuneful melodic lines, predictable harmonies, and a certain rhythmic vitality; appealing and of historical interest. Score only - no separate flute part. 25 pages. (Almitra Music Co. 1997) Stickers and a few marks on cover. Pages are in fine condition. Concert And Contest Collection For C Flute With Piano Accompaniment -compiled & edited by- H Voxman. Piano Accompaniment Book only - no separate flute part. Rubank Educational Library No. 145. 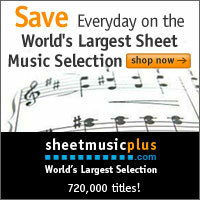 Used book of sheet music scores for flute and piano. 59 pages. (Rubank Inc. Miani, Florida.1949) Name whited out on soiled cover. Light foxing on edges of pages, else pages are in fine condition. Contents are: Andalouse, Op. 20 (Emile Pessard); Bergamask (Paul Koepke); Flight Of The Bumblebee, from 'The Legend Of The Czar Sultan' (Rimsky-Korsakoff); Gavotte (Gossec); Menuet and Spirit Dance, from 'Orpheus' (von Gluck); Menuet from 'L'Arlesienne Suite No. 2' (Bizet); Pan! Pastorale (J Donjon); Polonaise and Badinerie, from 'Suite in B Minor' (J S Bach); Romance, Op. 41 (Georges Brun); Scherzino, Op. 55 No. 6 (Joachim Andersen); Serenade (Jos Haydn); Serenade, Op. 3 (Victor Herbert); Siciliana and Giga, from Sonata V (Handel); Valse Gracieuse, Op. 261 No. 2 (W Popp). Mel Bay Presents Solo Pieces For The Advanced Flutist (With Piano Accompaniment) -compiled & edited by- Dona Gilliam & Mizzy McCaskill. Score and Part. CD is not included. ISBN 0786671025. MB95005BCD. 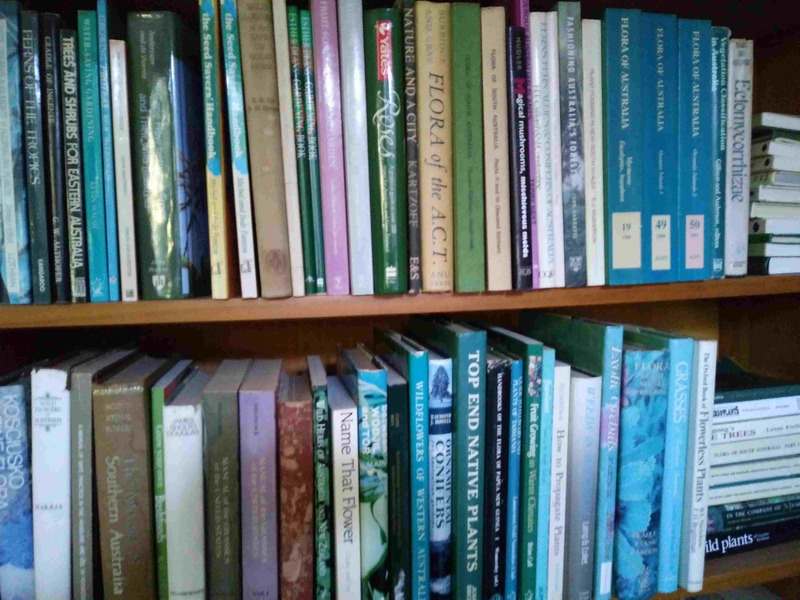 Used book of sheet music scores for flute and piano. NO CD. (Mel Bay Publications. 2004) In fine condition. Contents are: Diversions on a Bach Prelude (McCaskill/Gilliam after Bach/Muller-Berghaus/Wenzel); Fantaisie (Gabriel Faure); Sonata (E Flat Major) BWV 1031 (J S Bach); Fantasia No. 2 in A minor for Solo Flute (Georg Philipp Telemann). World's Favorite Intermediate Pieces For Flute FIRST FLUTE PART ONLY -selected & compiled by- Dan J Royal. World's Favorite Series No. 33. Used 1st flute part only. Piano accompaniment book is not included. 40 pages. (Ashley Publications Inc. 1964) Name & date and foxing on cover. Stain on last few pages. Else pages are very good. Contents are: Whispering Hope; The Yankee Doodle Boy; Waves Of The Danube (Ivanovici); Santa Lucia; Dark Eyes; Largo from 'New World Symphony' (Dvorak); Loch Lomond; Gold And Silver (Lehar); Chanson Triste (Tchaikovsky); Andantino (Lemare); Barcarolle from 'Tales of Hoffman' (Offenbach); Beautiful Dreamer; Cradle Song (Brahms); Blue Danube Wltz (Strauss); Ciribiribin; Come Back To Sorrento; La Marseillaise; Intermezzo from 'Cavalleria Rusticana' (Mascagni); Melody in F (Rubinstein); Nocturne from 'Midsummer Night's Dream' (Mendelssohn); None But the Lonely Heart (Tchaikovsky); On Wings Of Song (Mendelssohn); The Star Spangled Banner; Apache Dance (Offenbach); Tales From The Vienna Woods (Strauss); A Media Luz (Donato); Ave Maria (Schubert); Berceuse from 'Jocelyn' (Godard); Country Gardens; Evening Star from 'Tannhauser' (Wagner); Fifth Nocturne (Leybach); Humoreske (Dvorak); La Cinquantaine (Marie); The Palms (Les Rameaux) (Faure); Reverie (Debussy); Slavonic Dance (Dvorak); Spanish Dance (Moszkowski); Tango (Albeniz); Toreador Song from 'Carmen' (Bizet); Two Guitars; Moment Musical (Schubert); Largo from 'Xerxes' (Handel). Congratulations! You Just Passed Grade 1 Flute FLUTE PART ONLY. Used flute part only. Piano accompaniment book is not included. 12 pages. (M Witmark & Sons. New York. 1996) Marks on first page. Creased. Small tears in spine. Else good. Contents are: Jeepers Creepers; Little Donkey; My Heart Will Go On (Love Theme from 'Titanic'); Cavatina; When The Saints Go Marching In; Love Is Like A Butterfly; Blueberry Hill; Lullaby (Brahms); The Sun Has Got His Hat On; Teddy Bears Picnic; Que Sera, Sera (Whatever Bill Be, Will Be); Scarborough Fair; I Don't Want To Miss A Thing; How Do I Live; Blue Moon; Angels. Chester Music Flute Trios Volume II editor Trevor Wye FLUTE 2 PART ONLY. JWC 55189. Used 2nd flute part only. 10 pages. (Chester Music. London. 1979) Some spots of foxing on edges of cover, else very good. Contents are: Intrada (Franck); Courante (Praetorius); A Prelude (Mattheson); Introduction and Air (Finger); Allemande (Boismortier); Courante (Boismortier); Minuet (Finger); Trio in A minor (Kummer); Romance (Krommer); Rondeau (Boismortier); Gigue (Boismortier); Minuet and Trio in F from Op. 13 No. 3 (Kuhlau). Chester Music Flute Trios Volume II editor Trevor Wye FLUTE 3 PART ONLY. JWC 55189. Used 3rd flute part only. 10 pages. (Chester Music. London. 1979) Marks on cover, else very good. Contents are: Intrada (Franck); Courante (Praetorius); A Prelude (Mattheson); Introduction and Air (Finger); Allemande (Boismortier); Courante (Boismortier); Minuet (Finger); Trio in A minor (Kummer); Romance (Krommer); Rondeau (Boismortier); Gigue (Boismortier); Minuet and Trio in F from Op. 13 No. 3 (Kuhlau). Short Duets For Two Beginner Flautists With Piano Accompaniment Book II -by- Louis Moyse FLUTE II PART ONLY. Used 2nd flute part only. Piano Accompaniment part is not included. Original compositions and transcriptions arranged in progressive order. 14 pages. 46494a(48791). (Chappell & Co. London. 1970) Name written on grubby cover. Pen ticks on a few pages, else pages are very good. Contents are: Menuet (Dussek); Morning Prayer (Tchaikovsky); Polonaise (J S Bach); Waltz (Brahms); Parade (Moyse); Gavotte (J S Bach); Aria (Handel); Rigaudon (Purcell); Menuet (Beethoven); Little Caprice (Moyse); Adante (Haydn); Menuet (Schubert); Pappenheimer March (Anonymous); Andante (Schubert); Fairies' March (Moyse); Minuetto (Beethoven); Italian Sailors' Song (Schumann); Minuet (Gluck); The Merry-go-round (Bizet); Dance of The Dolls (Moyse).